Your favorite beach vacation destination? Re: Your favorite beach vacation destination? 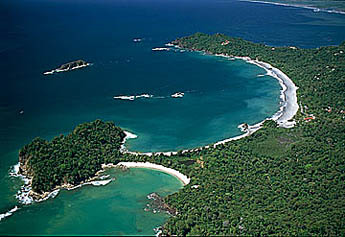 Speaking of Costa Rica, there are nice beaches near Quepos and Manuel Antonio National Park on the west coast. I never saw one that was crowded in the 10 days we were there. I live in Charlotte, NC and people around here love the beaches of NC and SC... but they aren’t even close to being as nice as the Gulf Coast beaches of Florida. My thing is that if I’m going to Florida I would rather go all the way to the Keys and dive the reefs. But there are very few beaches in the Keys. I’ve been to Punta Cana a few times and to the Bahamas and both are gorgeous... but based on the limited places I’ve been there’s no where more beautiful or amazing than Hawaii. I spent three weeks there last year and it was just paradise. Another vote for Kiawah Island, SC. When we were there 20+ years ago, there was essentially no tourism there. One really expensive resort that Princess Diana apparently loved because of its isolation (we didn’t run into her). My family is from Puerto Rico so Ive spent a lot of time in the Caribbean, Ive visited most of the islands there. My favorite beaches/islands are below. Another US beach, Kiawah Island, SC near Charleston. Beautiful beaches, golf, upscale, and if you get bored, checkout downtown Charleston. Good to hear as we are going there with a few friends in the summer. Any recs on food? p.s. Been to Charleston already. Trying to convince my wife to retiring part time down there in 20 years. Just love it there. The restaurants at the Sanctuary Hotel are really good and expensive. I am not familiar with other restaurants on island. You are only 20 miles from downtown Charleston and there are many good restaurants there. If you are familiar with Charleston, you probably know some. One of our favorites is Magnolias on East Bay St. Also Fleet Landing on Concord St., which has nice view of the harbor. Much thanks. We are renting a villa at the hotel. Thanks for the scoop on restaurants. Hawaii has many charms but the beaches tend to be small and rocky Waikiki excepted. Yes, I've been to dozens of Hawaiian beaches on all of the islands except Moloka'i. They're very pleasant and my comment wasn't meant to disparage them. They just tend to be smaller than you'd find in some other parts of the world (length x width) and often surrounded by lava rock. Great snorkeling and surfing though so that's not a negative necessarily. I’ve been to St John and St Thomas beaches, plus the beach near Cancun. I don’t recall they left me with a wow impression either, and I live near a beach community. Our area is well known for beaches. I’ve been to most Hawaii Island and not just Waikiki, even the Island near Maui, Lanai. But new favorite beach is now in Moorea. A true paradise. Why didn’t I discover this place sooner. Last edited by DrGoogle2017 on Wed Jan 31, 2018 5:44 pm, edited 1 time in total. Virgin Gorda, but they are still buried under hurricane debris as well. Second would be Fiji. Pretty much anywhere in Fiji. Riviera Maya, Mexico... between Cancún and Playa del Carmen. Great beaches, beautiful, wonderful historical sites, cenotes(! ), Cirque du Soleil dinner theater now, and Cirque theme park opening later this year! We are here as I write this.